This line operates on three shifts, 24 hours a day. 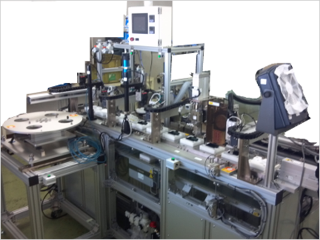 In-house manufacturing of plastic parts realizes cost reduction and high quality. We are capable of designing, making and maintaining molds. 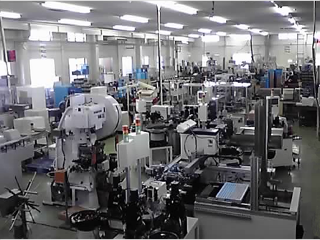 We construct high-performance production lines by taking advantage of in-house developed facilities to achieve cost reduction and high quality. 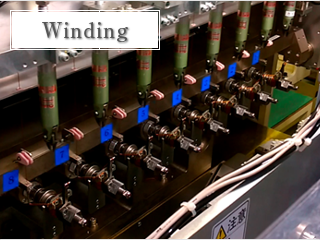 We carry out manufacturing improvement activities to flexibly respond to various product types and quality requirements. 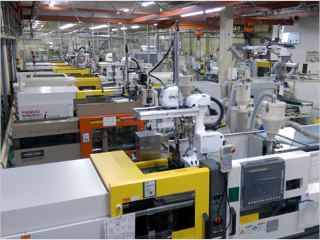 we choose the most effective manufacturing process and focus on costs and quality from a development stage through collaboration between product design and production engineering.